Since Souq White Friday officially started today while US is having their Black Friday Sale, We would like to share our experience and what we bought as of now. White Friday sale kicked off yesterday with their pre-sale on their mobile application users in fact I was able to buy a voucher worth 250 Riyals with 98 pcs of Pepsi and 98 pcs of lays for an amount of 249 Riyals only (Pepsi & Lays ONE Month Supply + a Souq Voucher worth SR 250) . Although I have not get a confirmation on my Dashboard that it is now in process I believed everything is fine. I could say that they give lots of discounts on sale items in electronics and in baby items. By the way it has free shipping. I have also manage to get the maximum discount of 15% (SAR 100) as provided by Master Card. (Thanks Mastercard!!) So in addition to the discount given by Souq I have made an additional 15% discount from using Master Card. Just take note, buyers need to place the coupon code “Mastercard15” before check out in the upper right corner above the total price. Then you need to press “apply” in order the codes be accepted. Some of the buyers here in our office thought that it was automatic and to their surprise the discount was not applied. The additional MasterCard discount can only be used once. So maximize your discount. Make also a combined order to minimize the cost of delivery. The delivery cost is calculated per transaction and not per item. If some items has been sold out, wait until 12:00 AM and this might be refreshed. I bought 3 pcs of InnJoo E1 10,000 mAh Power Bank (Gold) after it was refreshed last night at 12:05 AM. I could only say that all my orders is successful if all my purchased will be received after 9 to 12 days from purchased. I will report if all the items I purchased was delivered. In addition there are times that it is really hard to login to the dashboard, an indication that there are lots of visitors at souq.com. I just hope they have prepared for this one or else there will be a big loss for every minute that their site is down. 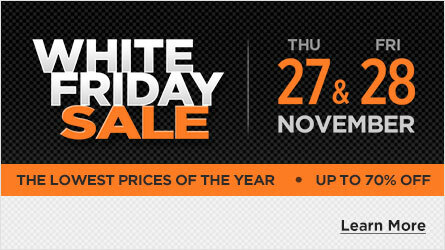 We will review every items that we bought from this White Friday sale here in our blog so stay tune.